Five children on a sun raft. On left Jackie [John T. McCutcheon Jr.], center Theo, and on right Ethel Schott, the others are not identified. 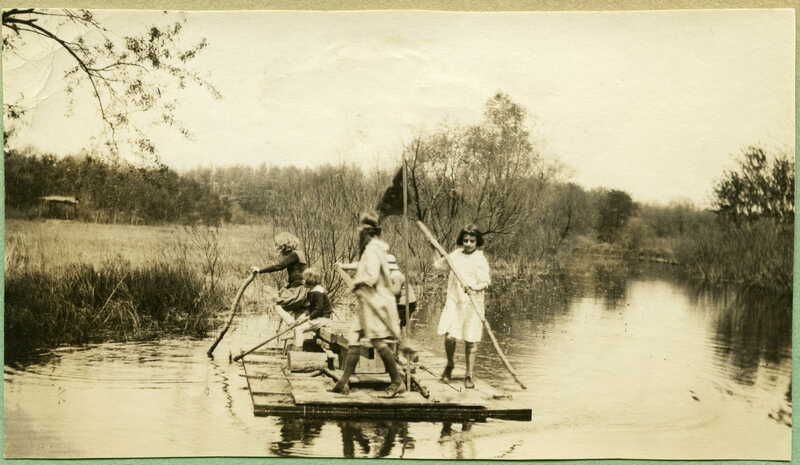 “Pirates on the Skokie,” Digital Collections - Lake Forest College, accessed April 26, 2019, http://collections.lakeforest.edu/items/show/3221.